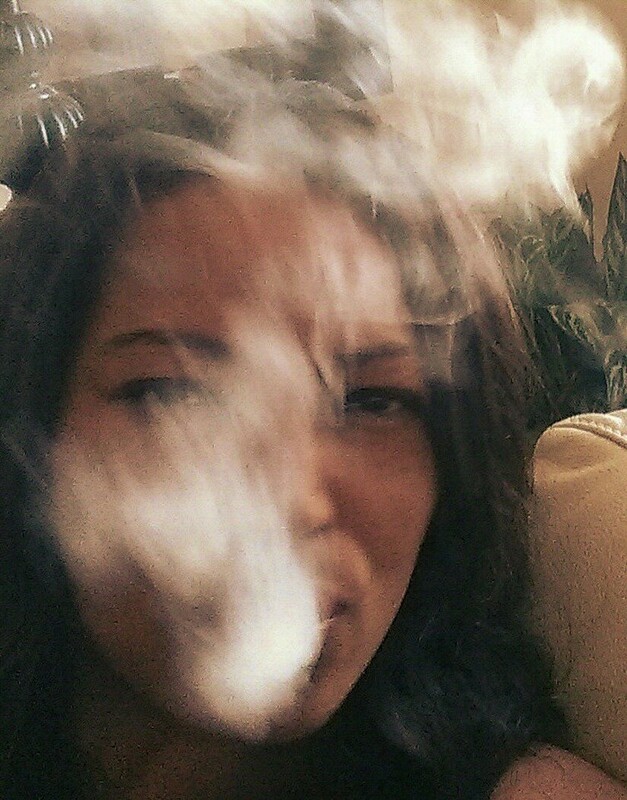 Sonja has lived in NYC all of her life and is a corporate event planner who started smoking earlier this year. 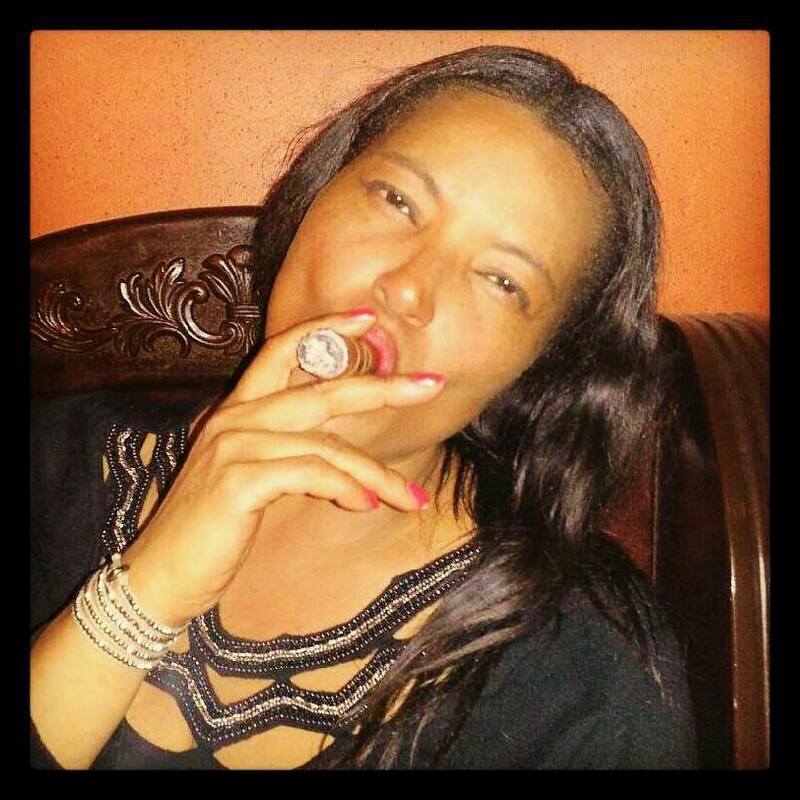 She is no stranger to the cigar lifestyle through clients, however, had never indulged personally. 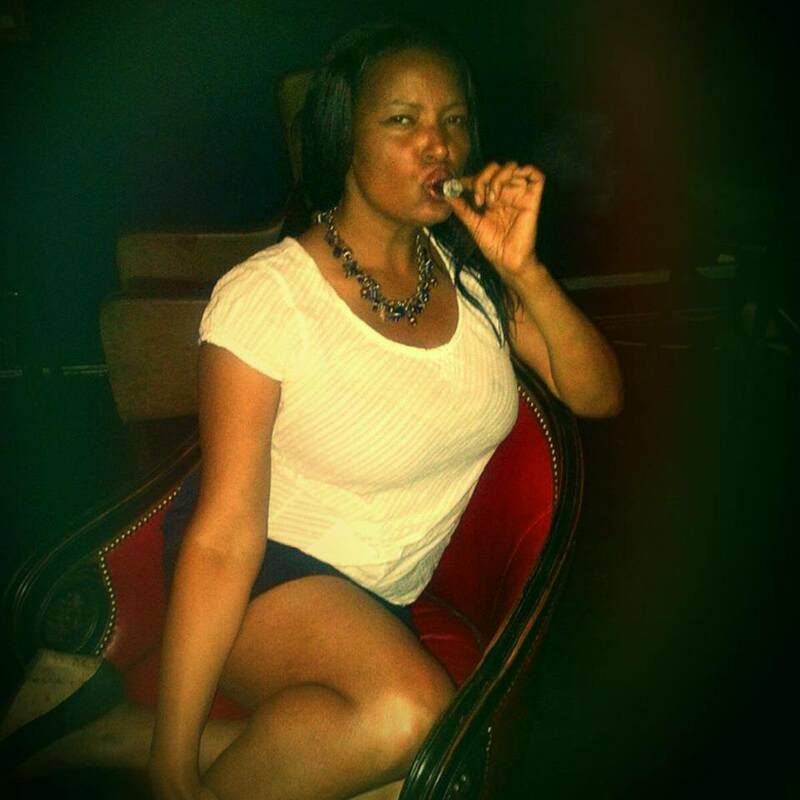 Looking to expand her social life and meet new people, she searched for promotional companies outside of her existing network to receive invites to private and social engagements which lead her to experience her first cigar event. 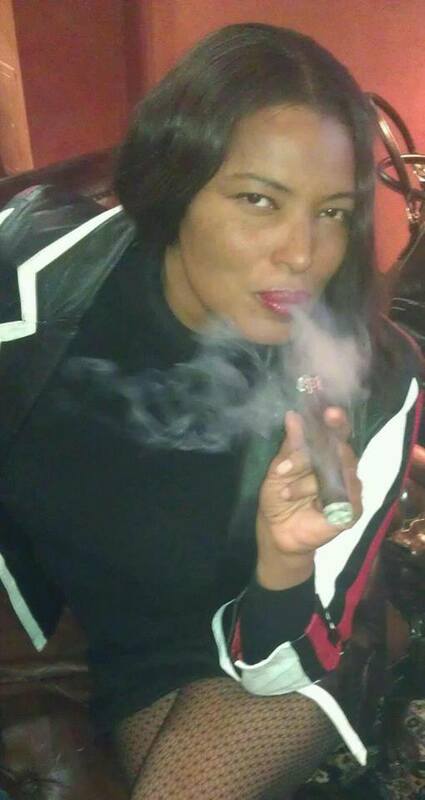 My first time attempting to smoke a cigar was on March 2nd at a cigar event celebrating a birthday. 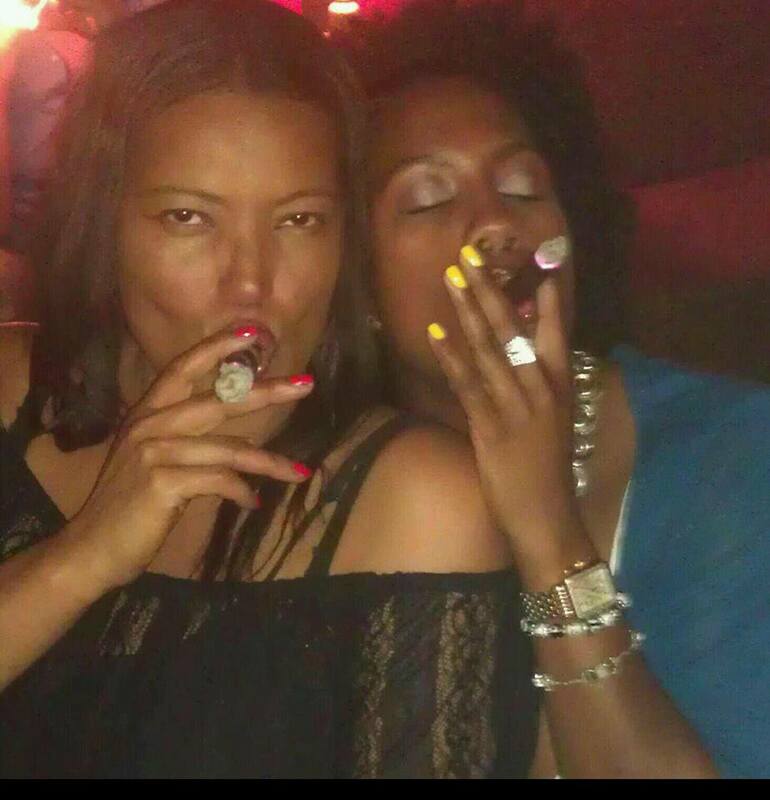 I was attracted to the images taken of women smoking their cigars at a cigar event taken by a photographer. The elegance, femininity and enjoyment expressed by the women intrigued me. Instinctually, I wanted to be a part of it and made the connection to meet them all. After meeting them, I attempted to smoke a cigar barely making it past 4-5 pulls without inhaling and choking. The group invited me out again the following week and successfully I enjoyed a full cigar while indulging in a fine scotch, also, for the first time. The pairing left me in a state of euphoria and the following week I returned to the lounge solo……..I was hooked. The atmosphere, ease of the conversations with members/non-members, and the pure happiness that surrounds me from others when I am smoking……… “romances” me every time. I can’t stay away from the beautiful fragrant clouds of cigar smoke and people…………and the daily experience of that turned me into the Aficionado that I am growing into today. Always eager and anticipating the next great stick! I have graduated to smoking at least 4-6 per week and if there is an event in the same week up to 8. Depending on the strength and enjoyment of the cigar I can comfortably smoke 1-2 cigars in a single day. The stimulation one feels from a fine blend of tobacco and its wrapper lasts well into the next morning for me………as does most things which stimulate and relax me. Living in New York City provides an incredibly diverse array of smoking establishments to play, relax and get lost in. The best times have included very upscale lounges/bars to the lovely intimate cigar shops that provide a tranquil setting. In contrast, I also enjoy a shop that’s very basic without the trappings of luxury and it makes me feel as if I am casually sitting in someone’s living room. What I love about them “all”, and what ties them together, are the people you spend time with. Everyone is friendly and open to getting to know you. 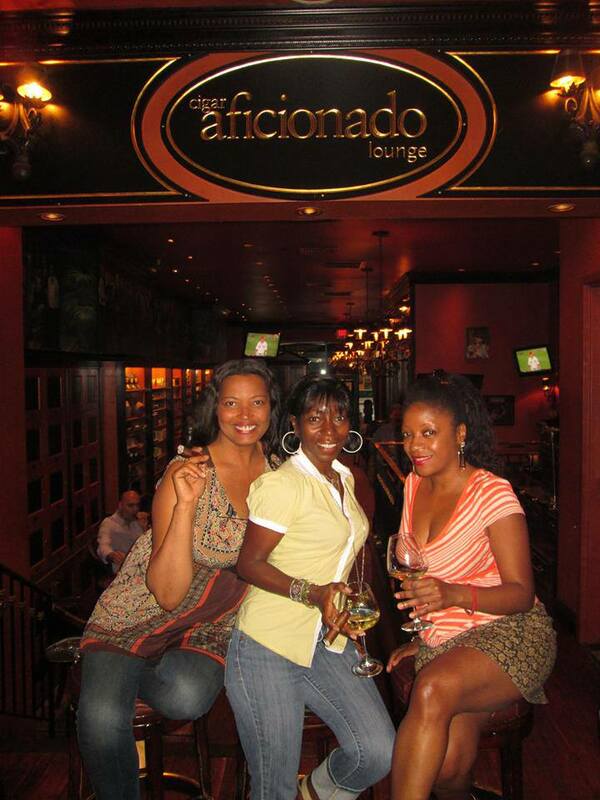 NYC Aficionados circulate through them all daily whether with friends, solo or to events being hosted. You always see someone you know. Once I’m well in to the heart of my cigar, and engaged in good conversation, my focus of what décor is or is not around me fades away and it’s all about the love affair I am having nurturing that cigar throughout and blowing my smoke. 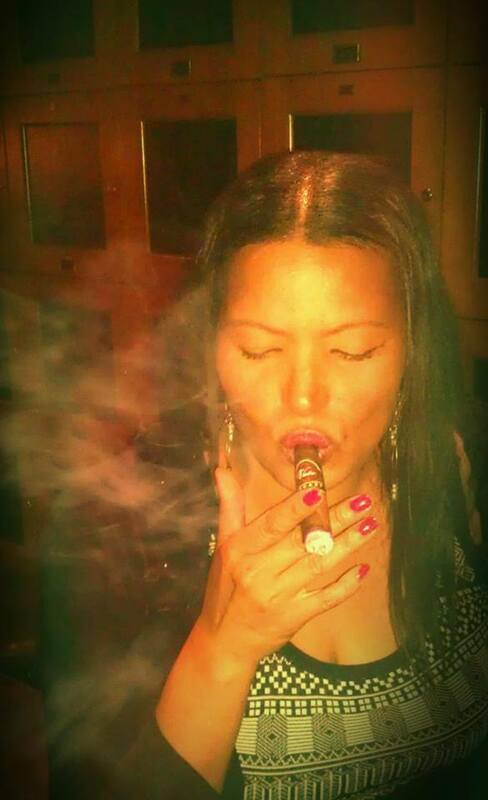 My favorites are Cigar Inn for its diversity and their Cigar Aficionado lounge, Carnegie Club/Club Macanudo for their elegant and vintage setting, Blew Smoke for their jazzy, speakeasy elegance in a residential area. I am still finding more to explore. I have a personal cutter and when at a venue, it is cut for me in the preferred V cut. I have yet to use my teeth! My love affair with my cigar “always” begins when all of my senses become heightened with the anticipation of holding, smelling, cutting and lighting one. It’s similar to how one feels when they are excited about a date they are confident is going to be a success. My heart gently beats faster, and breathing is a bit heavier in the state of knowing you’re being physically and mentally stimulated simultaneously, especially, if it’s one I have not tried. The rituals and etiquette add to my excitement each time and once my eyes connect with the flame and I bring it to life…..I can’t help but smile for the anticipation that it’s going to be a positive experience. There’s nothing more wonderful in that moment when you begin to glow from the warmth of the smoke inside of you and the perfume of your leaf blending in with others. Within the first 4-5 pulls I am usually drunk with pleasure way before my lips touch the spirit I have paired with my cigar for the evening. I usually light my first cigar in the evening since I seldom smoke at home and can finally relate to just how wonderful that feels. My preference will always be for a full-bodied cigar. I enjoy the strength in the tobacco and how it instantly satisfies me with flavor. I have learned that I prefer a very slight indication of spice and pepper preferring the purity of an earthy flavored experience. Having sampled enough to date……..I am able to be more discriminating and have been very fortunate with my selections. I also know that I would never try another flavored/infused cigar again unless it was the last one standing or something so special that everyone is buzzing about it. Thank you very much Sonia for sharing your experiences. Continue to follow us and have good ashes. 12 Responses to "“Sonja Smith„"
Very interesting. It is a great interview. Excellent interview to a new cigar lover with a great style and glamour. Greats to Sonia and thanks my friend Mr. Massimo. thank you very much Mike…I wish to come to London and share a cigar with you. Massimo, I am very excited each time to find a new interview on the “Women Who Love Cigars”. This is an amazing tribute that you provide that spotlights how “very special the lifestyle is to women”. It is evidence by all the women you have interviewed so far. We have embraced the beauty and essence of a fine cigar. And, we are a small percentage today verses men, however, as the MB Club continues developing interviews with us,” we will continue growing around the world”. The Sister’s of the Leaf are proud and confident women who know a good thing when we find it! Thank you Massimo for celebrating us and sharing our experiences with others! Thank you my friends Rafael Nadal & Roberto-Rodriguez-Pardal for taking the time to read my interview and share such kind and thoughtful feelings with me. I look forward to learning a lot from both of you over time…….and your generosity in introducing me to your fine cigars has been very appreciated. A special thank you to Mike Choi for your kind words and for taking the time to get to know me. I wish you a very successful outcome on your plan to have a “Women’s Only” day of smoking. I feel confident that after you have this event that by word of mouth, more women will encourage you to do more!! Happy smokes back to you. Thanks to Sonia and Massimo for this! Great article! Enjoy the continued journey Sonja. Sonia a very nice interview. You have many places to smoke in New York. I am glad you are enjoying the leaf. Good ashes to you. Sonia welcome SOTL enjoy the journey. Keep an open mind and enjoy the ride. Hudson Bar and Books is one of my favorite spots. Hope to see you through a cloud.